The Adult Citrus Snowflake Blanket pattern was inspired by the original Citrus Snowflakes Baby Blanket I released earlier this year. While I was working on the baby blanket I kept thinking about how nice the pattern would work up in a worsted weight yarn. It turned out even lovelier than originally imagined. It is generously over-sized to maximize snuggling, and it is wonderfully thick and squishy. If you are feeling adventurous, use the snowflake border to create a one-of-a-kind family heirloom blanket. 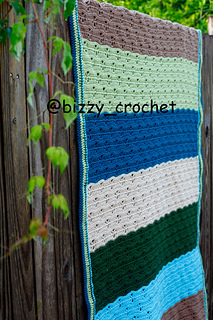 If you aren’t quite ready to tackle that, there are instructions for a simpler border that will create a more classic look to your afghan. 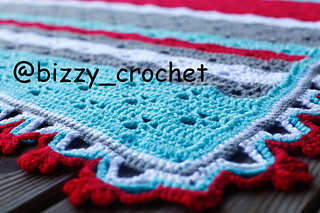 The colors chosen for the sample blanket were inspired by the winter Holidays coming up. I can see this blanket used to snuggle up in front of a warm fire on a cold night with a hot cup of cocoa.